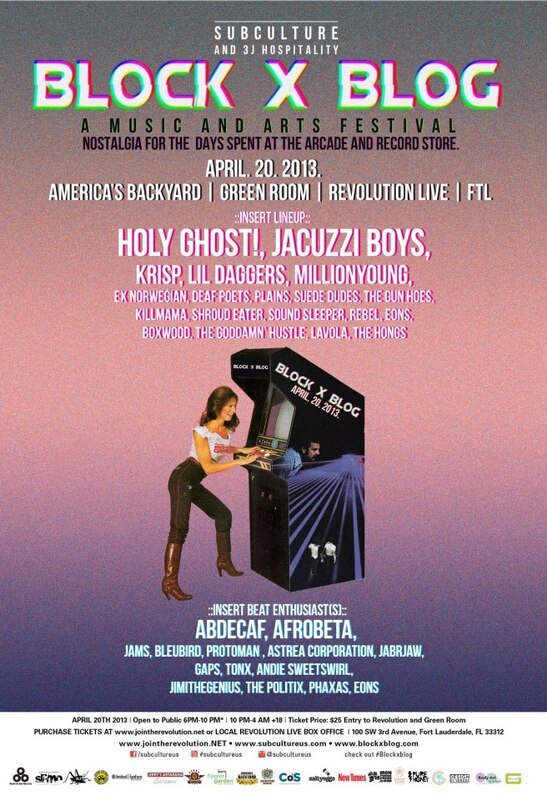 This Saturday, after you’re done picking up all of your limited edition Record Store Day goodies, head on over to Block x Blog in downtown Fort Lauderdale. Block x Blog will bring a lineup of national and local musicians, DJs, curated art galleries, and pop-up shops of local businesses and vendors within America’s Backyard, Green Room Nightclub, and Revolution Live. 3. The winner will be chosen on Wednesday, April 17th at 6pm.